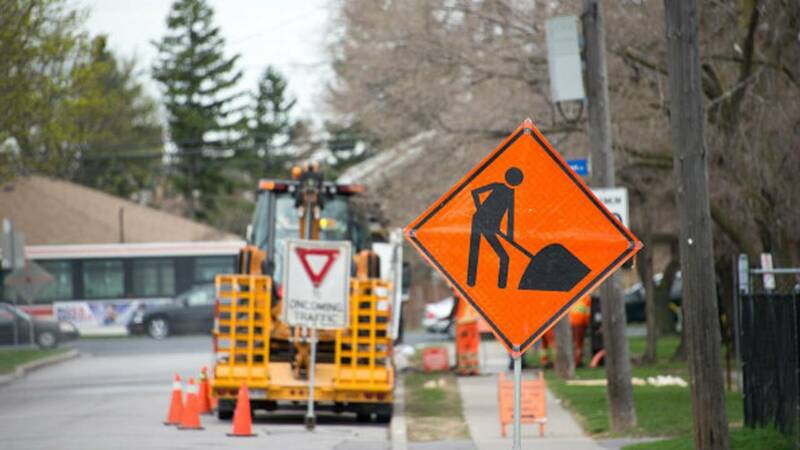 DETROIT - Here is a list of road construction projects to be on the lookout for this weekend in Metro Detroit. Expect multiple freeway closures. The closures are so crews can get as much work done as possible before weather worsens. Northbound I-75 from Schaefer to Rose Parks is closed Saturday from 5 a.m.-3 p.m.
Northbound I-75 from Sibley to Northline will be down to one lane Friday from 9 a.m. until Monday at 5 a.m.
Southbound I-75 at Clay will be down to two lanes on Saturday from 7 a.m.-12 p.m.
Southbound I-75 at Clintonville Road to M-15 will be down to one lane from Friday at 9 p.m. until Saturday at 7 a.m. Westbound I-94 at Belleville will be down to one lane Friday from 10 a.m.-2 p.m. Eastbound and westbound I-94 at Wyoming will have the left lane closed Saturday and Sunday from 7 a.m.-3 p.m. Westbound I-96/94 to Davison will be down to two lanes Thursday from 7 p.m. until Monday at 5 a.m. Westbound I-96 Express, Davison to M-39 Express closed -- local lanes open -- Thursday 7 p.m. to Monday 5 a.m.
Northbound I-275 at South Huron will be down to one lane on Saturday from 8 a.m.-4 p.m.
Southbound I-375 at Lafayette Avenue ramp closed Saturday 8:30 a.m.-12:30 p.m. Eastbound I-696 CLOSED, U.S. 24 to I-75 Friday 8 p.m. - Monday 5 a.m. and ramps. Westbound I-696, U.S. 24 to I-275 down to one lane nightly 9 p.m.-5 a.m. Saturday through Friday. Northbound M-39 Ford Road to McNichols Road will have one right lane open and two left lanes closed from Friday at 8 p.m. until Monday at 5 a.m.
Northbound/southbound M-150 at Avon Road will be closed intermittently for 15 minutes Saturday between 7 a.m. and 9 a.m. Eastbound M-153 at Wyoming Road closed Thursday at 9 a.m. until Sunday at 7 p.m.